A portion of the proceeds from the Vero Beach Pirate Fest will benefit local 501 (c) (3) charity "Save the Indian River Lagoon Estuary Now" & the "Indian River County Veterans Council". The Festival will also provide a platform to help several organizations that support the local community. (STIRLEN), a 501c3 was formed out of the need to have an organization that could unify the resources of the private and public sectors in their efforts, evaluating, developing and implementing the actions needed to restore and continuously maintain the ecosystem of the Indian River Lagoon Estuary, as well as, respond to future threats to the continuously changing natural state of the lagoon. 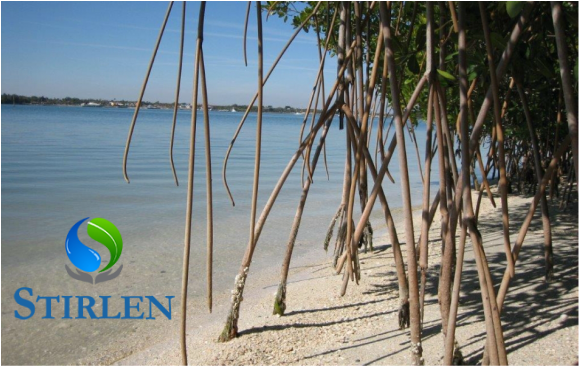 Additionally, STIRLEN was formed to initiate pilot projects using past and present research in conjunction with state of the art technology to evaluate their probative value of having a positive impact on the restoration of the lagoon ecosystem and determine the feasibility of implementation on a larger scale. The overall goal is to reverse the deterioration of our diverse estuary back to its early thriving and productive years and insure its long term vitality. This will require a unified joint effort; we must all be accountable as individual citizens, industries, private and commercial entities working together in creating, implementing and funding an action plan for the restoration and future protection of the Indian River Lagoon Estuary. By assembling a consortium of professional stakeholders and contributors, STIRLEN’S objective is to create a platform for the free flow of available research, the determination of future research still needed, and the exchange of ideas for potential solutions to improve the ecosystem. A successful restoration of the lagoon will require a unified effort of our individual citizens and local and state industries working together in creating, implementing and funding progressive continuous action for the restoration of the Estuary and assure its future protection. We welcome your support of our organization. Your participation and contributions to our efforts in this grand undertaking will have a direct impact in restoring, maintaining and protecting the Indian River Lagoon Estuary for our future generations. The Veterans Council of Indian River County was established in 1987 with an initial focus on two activities: 1) Providing transportation for veterans to the West Palm Beach VA Hospital; 2) Hosting Memorial Day and Veterans Day ceremonies honoring veterans. organization and the generosity of multiple major and individual donors. Since 1964, Memorial Day and Veterans Day ceremonies have been held at Veterans Memorial Island Sanctuary. As the demand for recognition of veterans has grown, Veterans’ Council representatives now participate in many events held throughout Indian River County. Another community initiative implemented through Council member efforts is the Veterans in the Classroom program. In 2011 a unique and innovative Council initiative established a separate 501(c)(3) non-profit, the Victory Center at Indian River Mall. Military-themed items are sold by a volunteer Council-member staff. Profits from the Center stay in the county; they are donated to veterans’ organizations and the Veterans’ Council. The Victory Center has drawn nationwide attention from veterans’ organizations hoping to emulate this success. In 2012 the Upward American Veterans Program (UAV) was formed to address a previously unrecognized situation within the Indian River County's veteran population: the existence of needy veterans and their families unable to sustain even a basic standard of living. Over the last two years, the UAV Program has provided $71,300 in basic living, rent and utility funds to support 83 Veterans and their families. In 2013 the Veterans Outreach (VO) program was initiated by the Council with the goal of assisting Iraq and Afghanistan War veterans to make a successful transition from military to civilian life. Primary program elements are to identify these young veterans and gather commitments for assistance from community organizations, businesses and educational institutions. The Veterans’ Council has grown over the last few years beyond 21 veterans’ organizations to include non-veteran civic and business entities along with supportive individuals. The Council, as an umbrella organization, has expanded its collaboration to include County veteran’s advocates and supporters comprised of 45 auxiliary and honorary members, along with county and city government representative and friends.